Arizona Department of Health Services utilized All Points Media’s Network of grocers throughout Arizona to reach low-income mothers located in low-income zip codes. AZDHS wanted to bring awareness to their eatwellbewell.org website that provides healthy and simple eating tips and recipes. AZDHS promoted this message to lower diet attributed diseases throughout the state of Arizona. Each location displayed a English or Spanish 2’x5′ Vinyl Banner Stand. 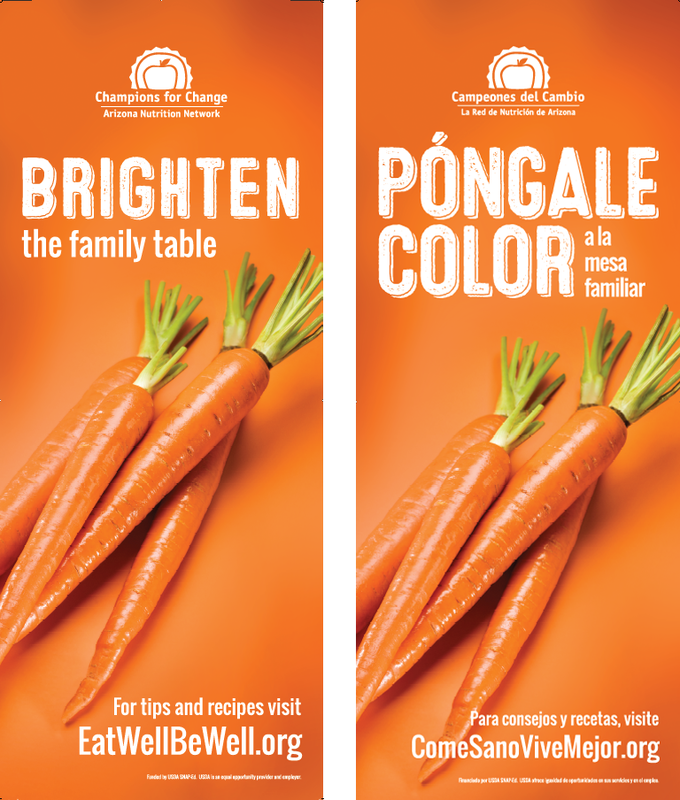 “Having eatwellbewell.org available really helps families eat healthier without spending more.” – Roger S.
“This is a great way to eat healthier and spend time with the family at the same time.” – Dina G.